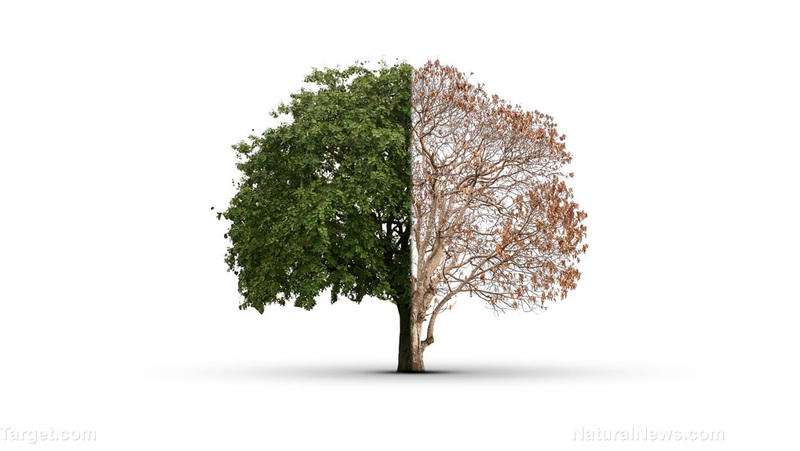 (Natural News) Much like humans and animals, trees need water to survive. In harsh places where there is next to no water or moisture, some trees still manage to thrive. One study, published in Tree Physiology, aims to shed some light on how trees adapt to such environments. Scientists discovered that certain species of trees are able to retain stored water and limit the growth rate of their roots in order to survive a drought. A three-month study of various tropical saplings showed that species adapt to avoid dehydration by developing traits that favor water storage, which allowed them to retain a water reservoir during a drought. In addition, the trees limit their root surface area, suggesting that root abscission is a key component in preventing water loss from roots to soil during severe drought. The study offers insights into how these trees respond to droughts. It highlights mechanisms and processes that control tree survival, which influences carbon dioxide levels. The research team tested the ability of different species of tropical saplings to avoid dehydration during severe droughts by subjecting potted saplings to three months without water, and found that the species avoided dehydration through developing certain traits that favored water storage, such as low tissue density, low leaf-mass fraction, or isolating their stems from soil. Such traits provided a water reservoir that buffered the drought conditions. Interestingly, the saplings maintained most of the water they stored during the simulated drought. Moreover, their reduced root area diminished further during the drought. The researchers believe this root growth may slow water loss into the soil. The findings suggest that saplings’ ability to avoid dehydration during extreme drought depends on retaining stored water. Apple trees – Some varieties will grow in the desert where the winters are not very chilly. Do take note that the fruit may not look as attractive as the grocery variety. If you decide to plant an apple tree, your best choices are Dorsett Golden, Fiji, Pink Lady and Anna. Apricot trees – Apricot trees can thrive in desert places, such as Early Gold, Blenheim, Royal, Chinese, Tilton, Floragold (a dwarf variety), and Newcastle. Most of these are self-pollinating and need some winter chill, but overall can do well in dry places. Citrus trees – Lemon trees, lime trees, and orange trees generally don’t like parts of the desert with cold winters, such as Las Vegas, Nevada. Some citrus trees can be grown in low desert areas where winters are warm. Nectarine trees (Prunus persica nucipersica) – Nectarine trees need to be pruned back severely every year because the fruit grows only on the first year growth. These self-pollinating varieties can thrive in hot places: Goldmine, Gower, Stanwick, and Le Grand. Peach trees (Prunus persica) – Some varieties of peach trees that will do well in the desert are Desert Gold, Early Elberta, Bonita, and Rio Grande. Plum trees (Prunus) – Among the best varieties for hot, dry climate are two self-pollinators, Beauty and Santa Rosa. Pomegranate trees (Punicaceae) – The best variety of pomegranate to plant for such a climate is the Wonderful. Pomegranates can take sunlight all day and will grow in alkaline soil. Even better, they don’t need a lot of watering. Some grapes grow well in hot, dry gardens as well, including these varieties: Thompson Seedless, Golden Muscat and the Alden. Do take note that Golden Muscat needs some shade as its leaves are susceptible to sunburn. Grape plants require pruning and constant soil moisture to produce fruit, but they are generally drought-tolerant if bearing fruit is not your goal. Visit Ecology.news to learn more about how trees adapt to their ever-changing environment.